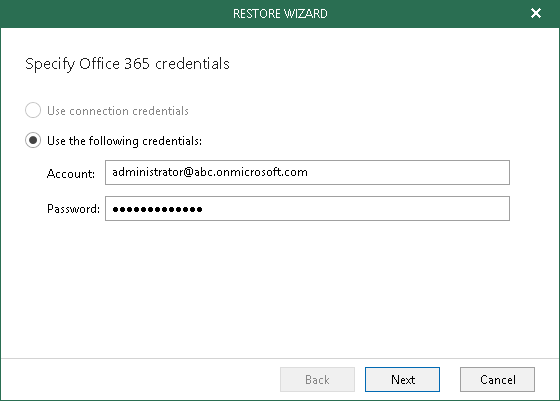 Specify authentication credentials to access your Microsoft Office 365 organization and click Next. 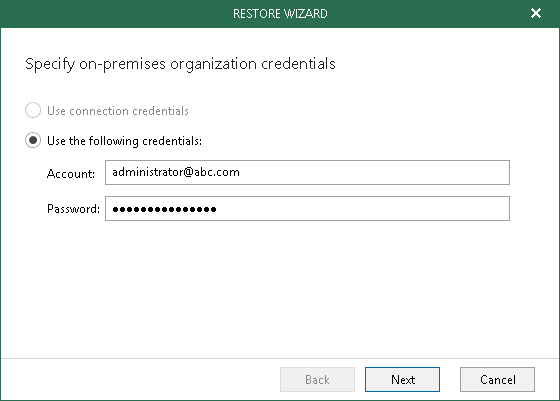 Specify authentication credentials to access your On-Premises SharePoint organization and click Next. The site URL to which you want to recover your site. 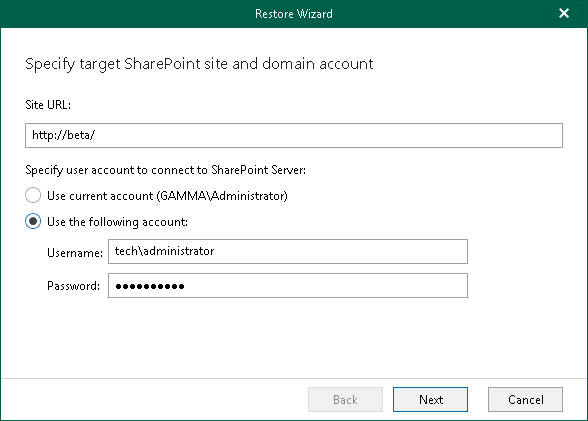 When recovering Microsoft SharePoint sites from a Microsoft SQL database, you will be taken directly to the Specify Restore Options step.